The Kodagu region, often referred to as Coorg (the English version of its name), is an extremely picturesque and alluring mountainous area in southern Karnataka, not far from Bangalore and Mysore. It's separated from Kerala by the Brahmagiri range. Coorg is one of the top travel destinations in Karnataka. In particular, the area is renowned for its coffee plantations, which contribute around 60% of India's coffee production. It also has abundant teak, rosewood, and sandalwood forests. 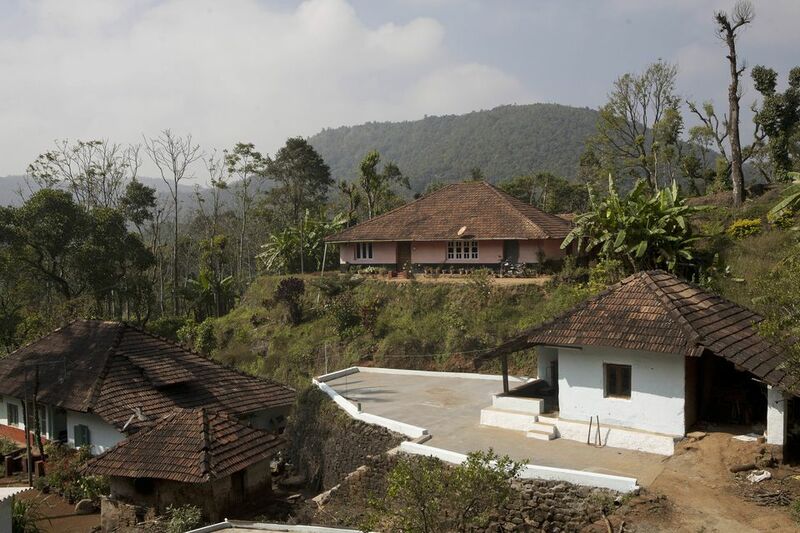 The Coorg area of Karnataka has a fascinating history, with the Kodavas being the dominant tribal community. The Kodavas have distinct customs. Traditionally, instead of worshiping any particular god, they worship their ancestors. This is done in the ancestral home, where offerings are made to the ancestors. The custom has started changing in the last 10 years though, with many Kodavas adopting Hindu beliefs. These Coorg photos capture the area's natural beauty and attractions. Arabica and Robusta coffee plants are both grown on sprawling coffee estates in Coorg. Most are historic ancestral properties that have been in the same family for more than a hundred years. Robusta, as its name suggests, is more robust and has higher yields, but its seeds are smaller. It's predominantly used in instant coffee. Arabica coffee plants are more prone to pests, but they produce larger seeds, and the beans are more expensive. The coffee plants are harvested annually from November to February. Before being sent for roasting, the seeds are dried on this large open concrete area. The coffee plants flower again, but only for two days, on the ninth day after the first rainfall is received for the year. This is usually around March or April. The flowers produce a heavy jasmine like scent. It's very common for coffee estates to also grow pepper. These plants climb up the tall trees that are grown to provide shade for the coffee plantation. Waterfalls are among the top tourist places to visit in Coorg. Abbey Falls is the most accessibly, as it's located not far north of Coorg's main town, Madikeri. The iron bridge opposite Abbey Falls is a popular place to stand and take photos. Raja's Seat, also close to Madikeri, is another popular Coorg tourist attraction. This garden spot was apparently a favorite of the Kings of Kodagu. If you want peace and quiet there, it's best to go in the morning. The best thing about Raja's Seat is that it offers breathtaking sunsets and panoramic views across the valley, all the way to Kerala. Madikeri also has a fort and palace. Unfortunately, much of the palace inside the fort has been turned into government offices. A small part is opened to tourists as a rather badly maintained museum. The fort ramparts do offer a great view of Madikeri town though. The Namdroling Nyingmapa Tibetan Monastery and Golden Temple is one of the top Buddhist Monasteries in India, and is a rarity in south India. It's located near Kushalnagar, around an hour from Coorg’s main town of Madikeri. The Golden Temple is an unexpected attraction of Coorg, but one that’s definitely worth seeing. The monastery is home to hundreds of monks, with the Tibetan settlement apparently being the second largest in India. The area is full of culture. There’s a small shopping center selling colorful Tibetan products as well. It's easy to see why the Golden Temple is named as such. The amount of gold inside the temple is quite overwhelming, as are the immense statues of Buddha at the rear of the temple. Find out more information from the monastery's website. The highlight of a visit to Coorg is undoubtedly a stay amid the coffee plantations. There are many homestays in the region that offer this. One such place is Honeypot Homes, located less than 10 minutes from Madikeri town on Sandalkad Estate. This high quality homestay has spacious luxury cottages, as well as a communal patio and tree house for guests to enjoy. The owners of Sandalkad Estate run a daily tour of their plantation. Participants are taken on a fascinating walk through the plantation and get to learn about the estate. Read a Review of Honey Pot Homes Homestay or check out these 12 Top Homestays in Coorg for All Budgets. For those who'd prefer to stay somewhere luxurious, there are a number of resorts in Coorg where you can enjoy nature. Here are the Top 7 Resorts in Coorg for Couples and Families.